Sonja Davies stands on the wharf at Days Bay, Wellington (in her Pencarrow electorate), in late November 1989. 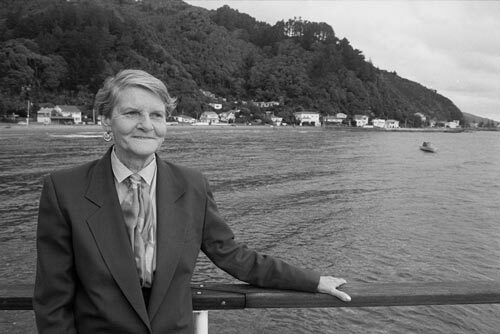 In 1987 she had entered Parliament as the Labour member for Pencarrow. Although she enjoyed electorate work, she was frustrated by the free-market policies of other Labour MPs at this time.